Please send us message using the form below. Please DO NOT use this form to make bookings enquiries. 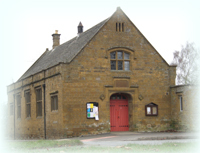 Our on-line diary shows the availability of Adderbury Institute. If you then wish to proceed with a provisional booking please use our on-line booking system.